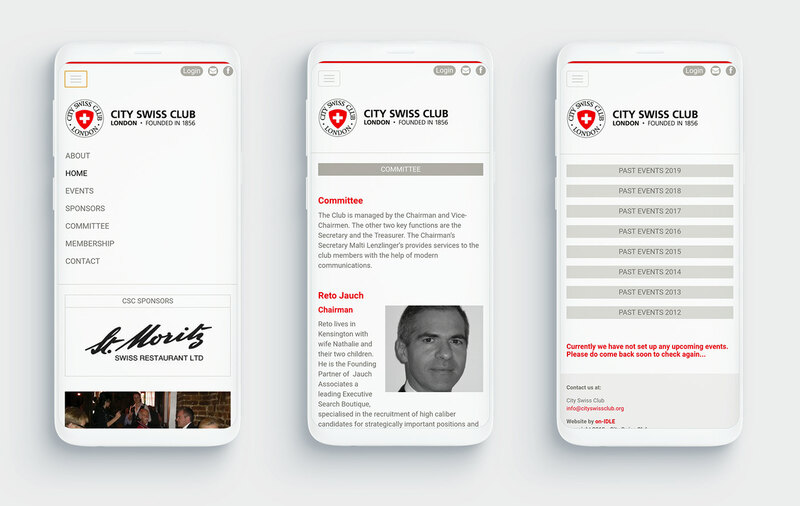 Problem: The City Swiss Club in London is a community-run organisation promoting business relationships amongst Swiss expats. 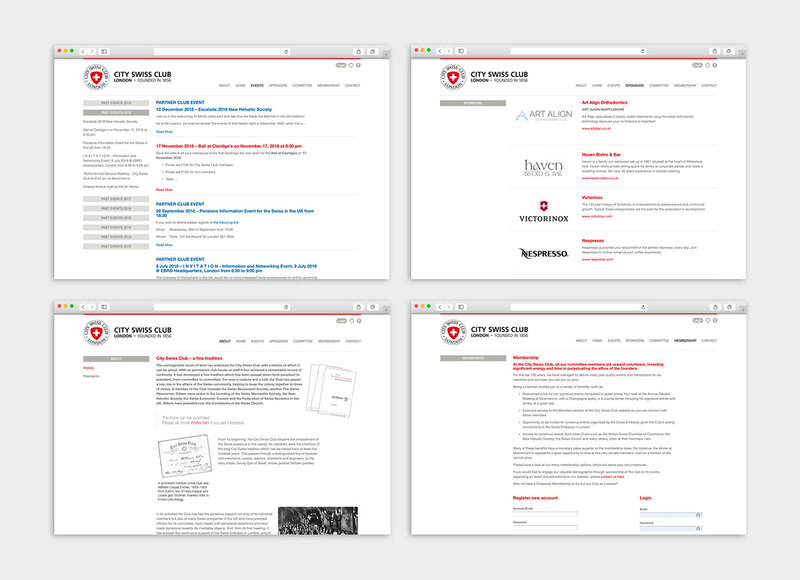 After on-IDLE refreshed their logotype and branding in 2002, CSC came back to us in 2014 for a full redesign and redevelopment of their website. Solution: A responsive website with full-featured CMS (content management system), with elements including an image gallery of past events and sponsorship banners. Highlights: The log-in protected members area, allowing access to reduced event pricing which links to a custom-built online booking system.